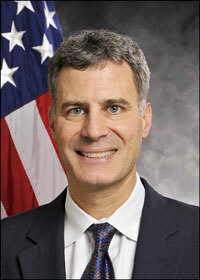 Alan B. Krueger '83 was named chair of President Obama's Council of Economic Advisors in November 2011. He has been on leave from Princeton University, where he is the Bendheim Professor of Economics and Public Affairs in the Department of Economics and the Woodrow Wilson School of Public and International Affairs. Krueger, a research associate at the National Bureau of Economic Research, earned his doctorate in economics at Harvard University. He won the IZA prize in 2006 and the Susan Eaton Scholar-Practitioner Prize from the Labor and Employment Relations Association in 2008. He served as chief economist of the U.S. Department of Labor from 1994 to 1995. Krueger was assistant secretary for economic policy and chief economist at the U.S. Treasury from 2009 to 2010. Jean A. Baderschneider Ph.D '78 is vice president for global procurement at Exxon Mobil. She is responsible for procurement, strategic sourcing, supply chain management and warehousing. Baderschneider has worked in refining, marketing, exploration and production. In 1983, she joined Mobil, before its merger with Exxon. 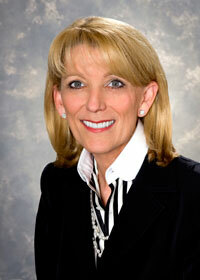 Baderschneider was appointed in 2010 to serve established National Advisory Council for Minority Business Enterprises. The council advises the U .S. secretary of commerce and the presidential administration on a broad range of policy issues affecting the minority business community. Through the Polaris Project and other organizations, Baderschneider is active in efforts to eliminate global human trafficking.